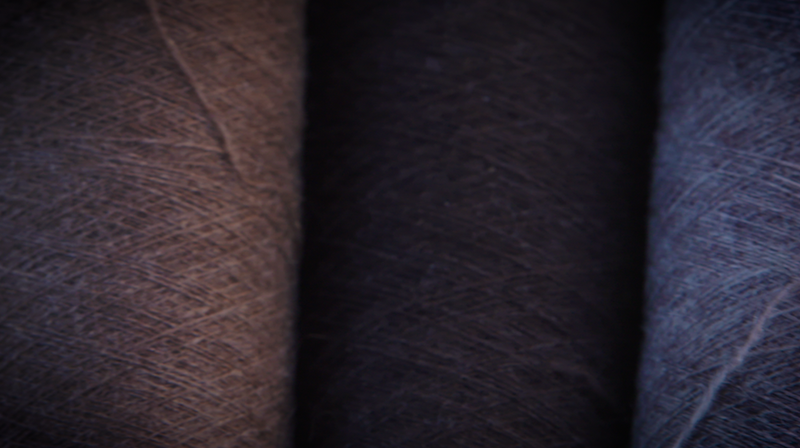 Tengri Noble Fibres is one of the world’s finest and most delicate natural fibres. Wearable all year-round, they are a sought-after material for good reason and will last forever, if taken care of properly. Look after them properly and it will continue to feel even more soft and luxurious after each wash.
Handwashing will produce the best result, but (we know you'll be pleased to know that) most of our garments and accessories are machine-washable too. 1. Handwashing: Wash with gentle, low-alkaline detergent. If you're washing more than one item, separate pieces into two piles, one light and one dark, and start with the lightest colours first. Use tepid water. Soak for at least 15mins, then just likely squish the sweater/accessories around in the soapy water. Press out the excess water, but do not wring and take care not to stretch the fabric. Avoid rinsing under hard running water. Very wet garment can take up to days to dry. 2. Machine-washing: Choose a delicate/handwash setting, if available. Put your garment in a netted bag. Use gentle, low-alkaline detergent. Wash light and dark colours separately. 3. Roll-drying: Rolling to remove excess water by placing a clean white or light coloured towel that is large enough to accommodate the whole sweater/accessories on a flat surface. Lay the item on a towel and reshape as it dries. Roll the sweater/accessories with a towel to get any more excess water out. Start at the top of the garment, roll the towel and the garment together, gently pressing down on the roll to help the towel absorb the water in the garment. Unroll. 4. Lay flat to dry: Lay the item flat to dry in its natural shape, so the style keeps. Do not iron as it will damage the yarn. You can also place your garment on a mesh drying rack until they are completely dry. 5. Getting a stain out: Treat stains immediately with cold water and apply a stain remover. After the stain remover has penetrated, wash your garment as normal as per above. As a last resort, or if you haven't been able to get the stain out, take the piece to a specialist dry cleaner. PS: If you are based in London, we recommend Blanc (the Eco-friendly dry cleaner). Never put sweaters/accessories away dirty (even though yak fabric/knits are odour-resistant). Sweat, hair and stains attract moths and make it more likely for female moths to find the perfect place for their eggs to hatch. 1. Storing: Store them in a drawer or storage box with cedar balls or lavender sachets, which are the best armour against moths as they don't like the smell. Remember to replace the cedar balls or lavender sachets each season as the smell fades. Moths also don;t like light or being disturbed. So open your drawers and give your garments a good shake every month. To be extra safe, you can also air out your garments/accessories in the sun (if any), as larvae are strongly repelled by light and will fall from clothing. 2. Storing over a longer period: If you are thinking of storing them over a longer seasonal period, you can also consider putting them into plastic zip storage bags or airtight bags so moths and dust cannot penetrate. 3. If you suspect moth infestation: The first thing to do is to try and kill the larvae and any eggs so that they can't do more damage. Then put the affected items into a sealed plastic bag and place them in a freezer for 3 days. Then, take the bags out and let them return to room temperature, wash and lay flat to dry. Although Tengri Noble Fabric are pilling-resistance, continuous usage does cause some natural form of "pilling" to the fabric. They are not indicative of bad quality, just an inevitable consequence of the processing of fine fibres. 1. De-pilling: Take a razor, electric de-bobbler or cashmere comb to the sweater/accessories. By removing the pills in this way, as opposed to pulling them off, the garment will actually soften even more. If cared for properly, the pieces will maintain its original luxurious quality. 2. Repairing holes: Whether it has occurred due to a moth of a snag, holes can be repaired. If the hole was caused by a moth infestation, make sure you freeze the piece first, then you can send it to us for repair?